Clinton, AR– Thomas Edison once said, “Opportunity is missed by most people because it is dressed in overalls and looks like work.” One thing is for sure, Clinton students did not shy away from work. In fact they have seized the opportunity to work hard over the past several months and achieve their goals. Clinton’s show season starts in the early spring, and runs into late October. 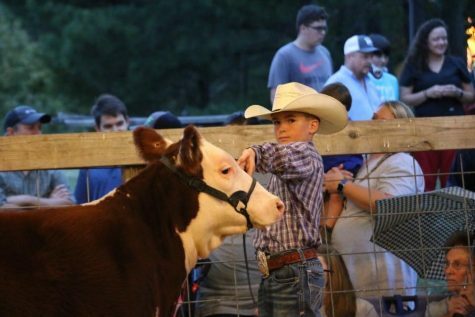 The Jacket Journal spoke with showing champion Lathan Newland, and asked him just how much preparation went into showing. Newland responded, “For the past month we have washed and walked pigs everyday. Before that I have woke up at 6 every morning to feed, and out until 7:30 every night. 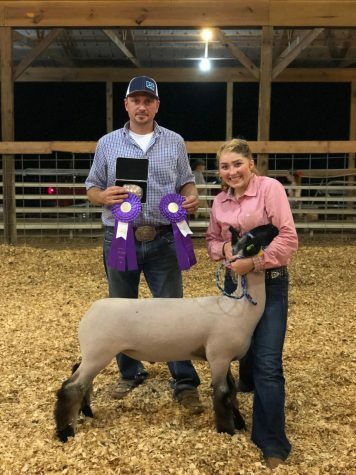 It is hard work, but it is all worth it.” Clinton FFA is led by Ag teachers Chad Mooney, Justin Wiedower, and Kori Kimes. 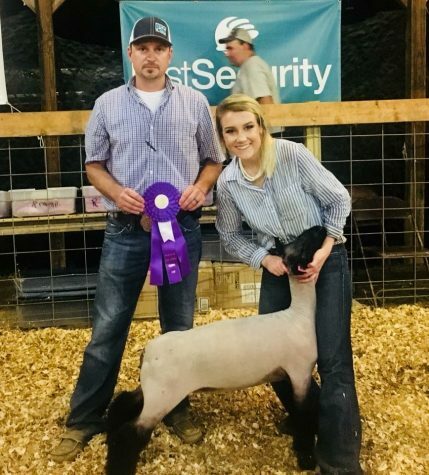 Lathan Newland- 1st in Class, Grand Champion Overall, and Senior Showmanship. Garrison Robbins- 1st in Class, 3rd place Overall. Blaine Emberton- 1st in Class, 5th place Overall. Jasper Burgess- 1st in Class, 11th place Overall. Trey Puckett- 2nd in Class, 13th place Overall. 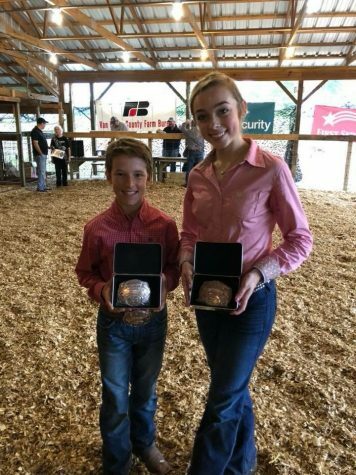 Sydney Standridge- Grand Champion Sim Solution, Overall Supreme Beef Heifer, Reserve Grand Champion Steer, Junior Showmanship Winner. Sam Standridge- Grand Champion Hereford Heifer, Reserve Grand Champion Commercial Heifer, Third Overall Supreme Beef Heifer. Shelby Standridge- Grand Champion Angus, Grand Champion Commercial Heifer, Overall Reserve Grand Champion Supreme Beef Heifer. 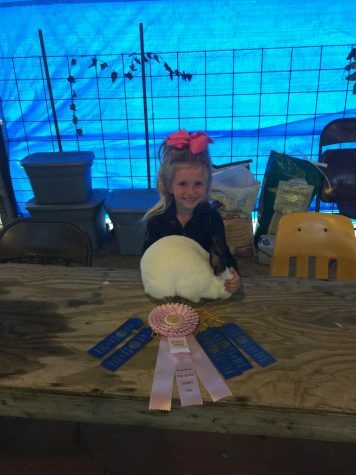 Harper Hutchins-Five 1st in Class, Reserve Grand Champion. 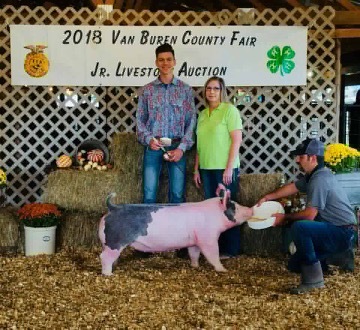 The Van Buren County Livestock Show comes to an end at the Premium Sale. At the premium sale local businesses come and show their support by buying the animals. 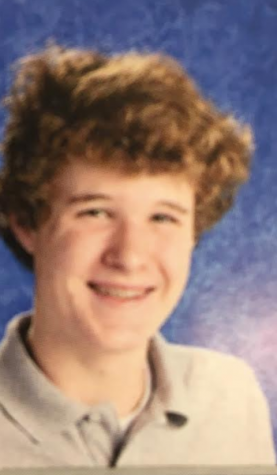 All of the proceeds go to the student showing. Many use the money made here as a building block for next year. The success of the Clinton students was evident if you were in attendance at the Premium Sale on Saturday morning. 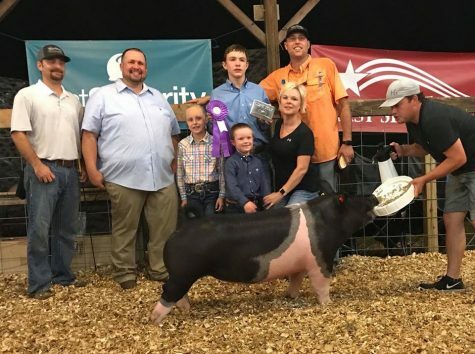 21 of the 31 champions featured at the Premium sale were Clinton students. This is a testimony to a successful program in our school community driven by hard working Ag teachers, parents, and students. 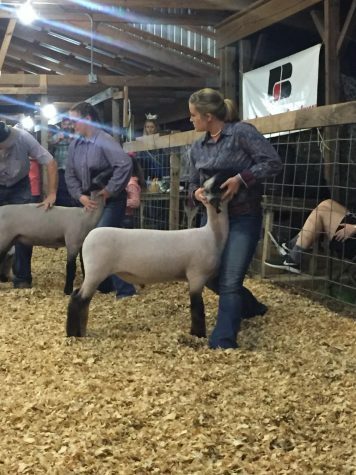 Livestock showing is more than just about wins and ribbons however it is many life lessons learned. 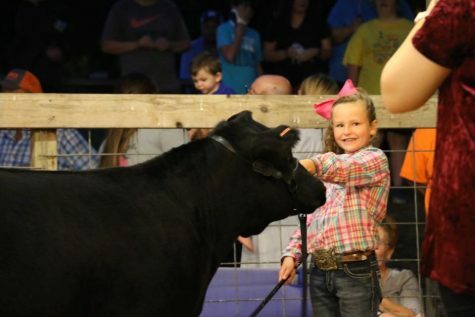 In 2012 Texas Tech University sought to quantify the benefits of Livestock showing to today’s youth. Several themes emerged such as: the development of social relationships among showers, character development, family togetherness/family values, exposure to competition, and knowledge and care of animals. 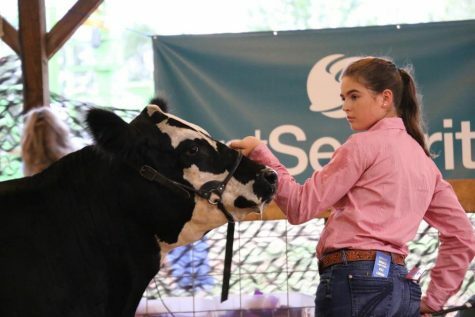 The benefits to a student that participates in livestock showing are benefits that will help the student later in life by building a solid foundation. 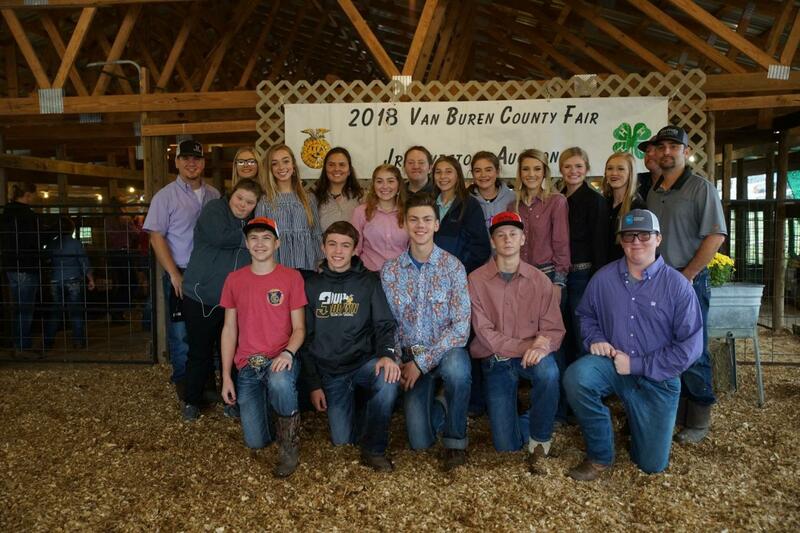 Clinton students are not finished, they will be heading to Melbourne this week to compete in the North Central Arkansas District Fair.